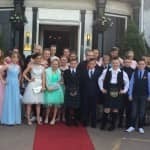 P7 had a fantastic night at the Palm Court celebrating their last year in primary school. Good luck to all of our leavers! 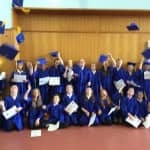 Well done to all the P7’s for the fantastic achievement at the awards ceremony today! 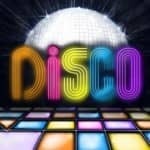 Shades and Shorts Summer Disco! 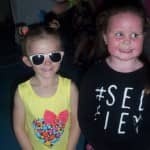 Nursery – P7 had a fantastic time at their Summer disco. 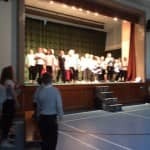 Thanks to the PTA group for organising this fantastic event. 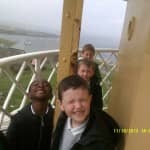 P1A and P1D loved their trip to the Fraserburgh lighthouse yesterday. They climbed to the top of the lighthouse, spent time in the lighthouse museum and created their own lighthouses. Dr Q and the Time Travellers! During health week we had a variety of visitors in to teach us how to keep fit and be healthy. 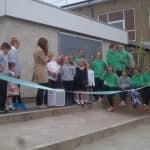 Below are photos from the weeks activities. 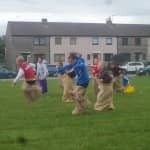 On Friday we had our Sports Day (despite weather disruptions!). Everyone competed well and had lots of fun. 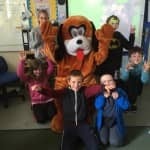 P5 enjoyed a visit from Scoop the dog!